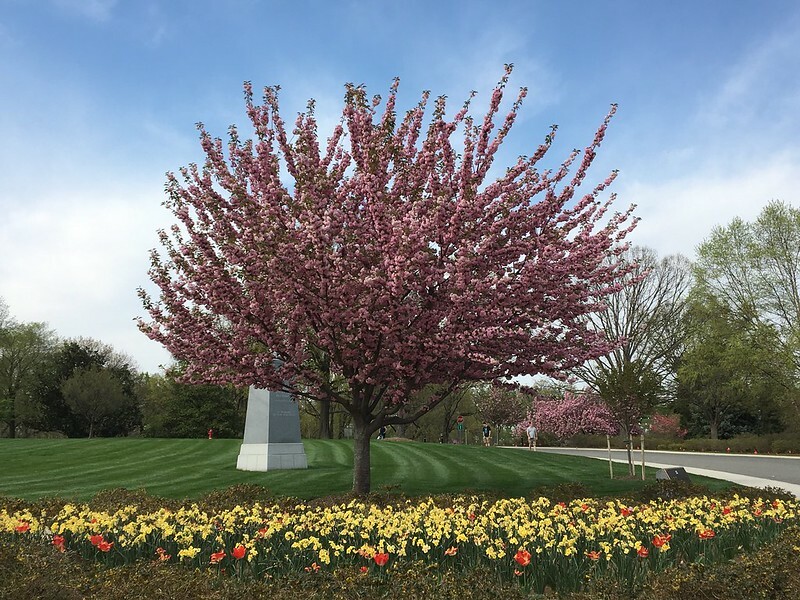 It was a beautiful, sunny, spring day when we visited the Arlington National Cemetery. The sky was blue, the Cherry Blossoms were in full bloom and the sun was bright and warm. 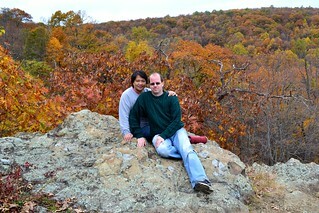 We took the DC Metro from Shady Grove to Arlington. 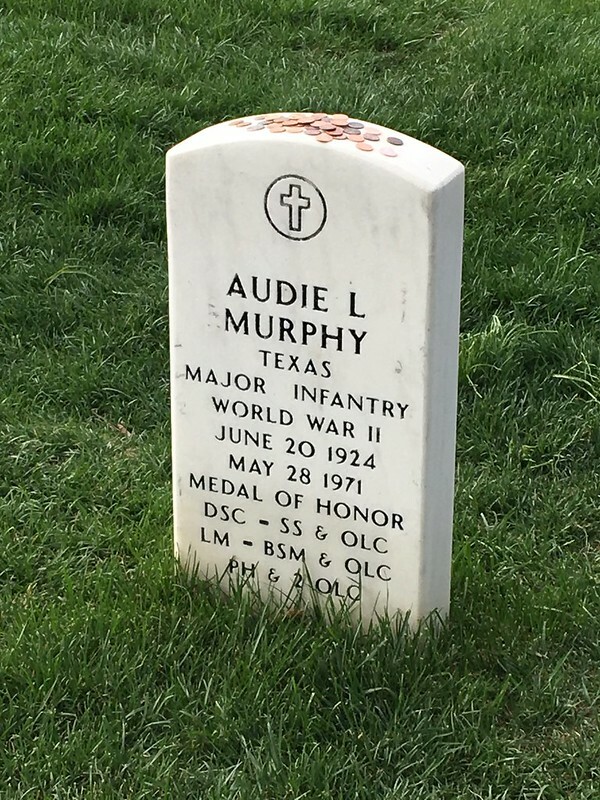 Mom wanted to see the final resting place of former President Kennedy and also the famous Medal of Honor recipient Mr. Audie L. Murphy. I still remember watching his movie, “To Hell And Back,” film version of his autobiography, in our small apartment in Ewa Beach. 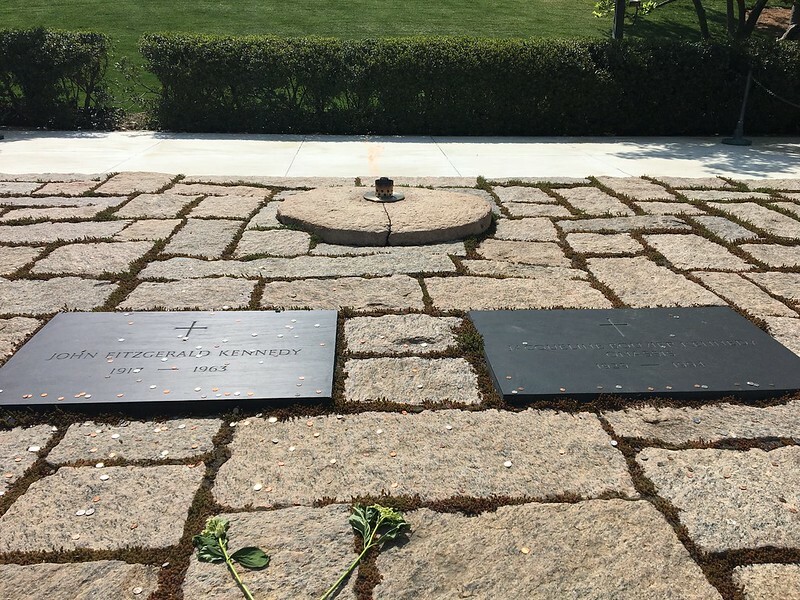 The final resting place of former President John F. Kennedy and his widow, Jackie Kennedy-Onassis. 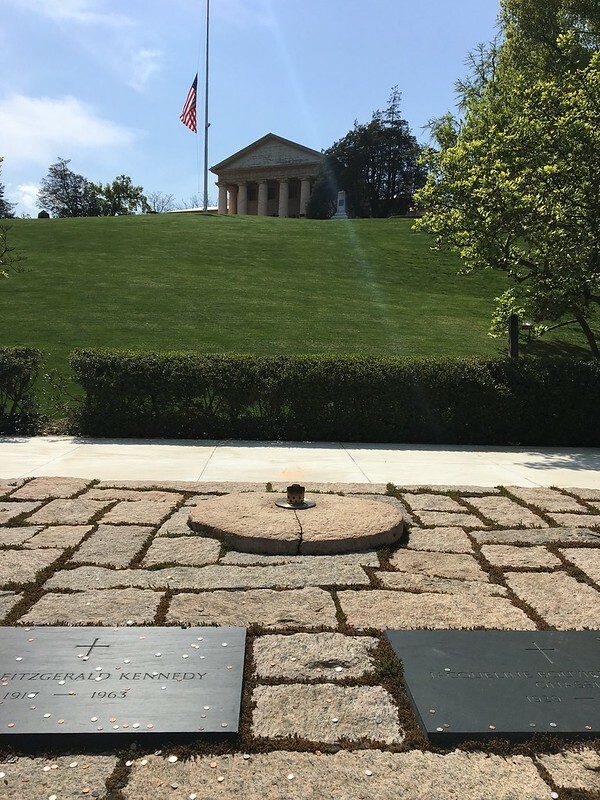 A torch of flame constantly burns at the Kennedys’ resting place. 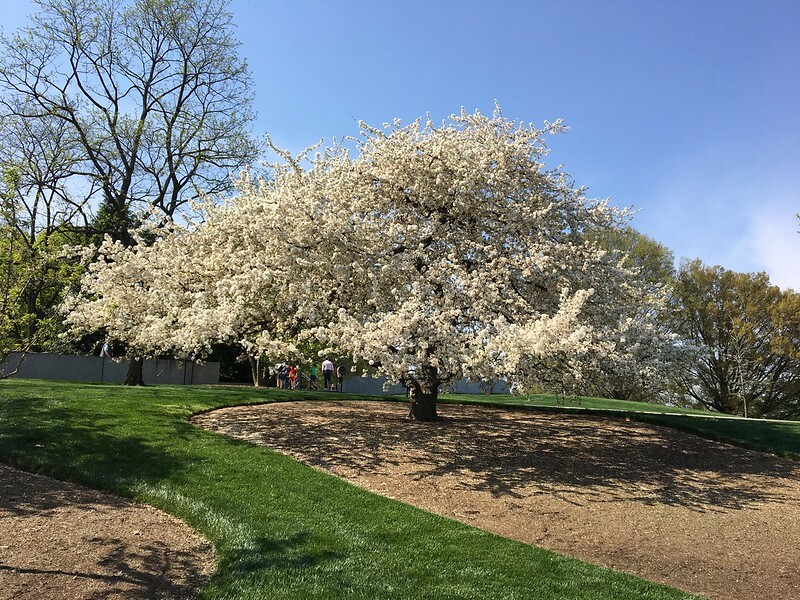 The sky was the perfect canvas for this beautiful Cherry Blossom tree in full bloom. Mom did a lot of walking and she was a trooper that day. 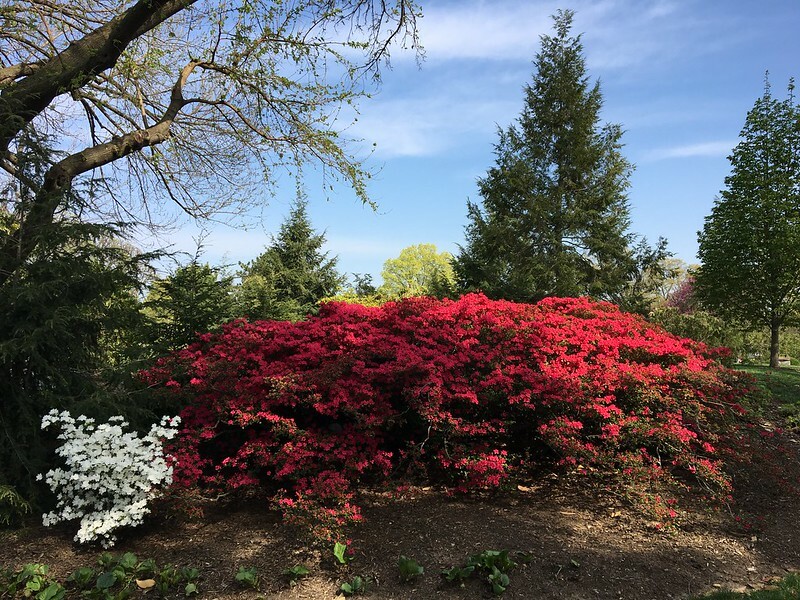 The Azaleas were so beautiful and stunning. The final resting place for Mr. Audie L. Murphy. He received 33 awards including the Medal of Honor, the highest award for bravery that a soldier can receive. 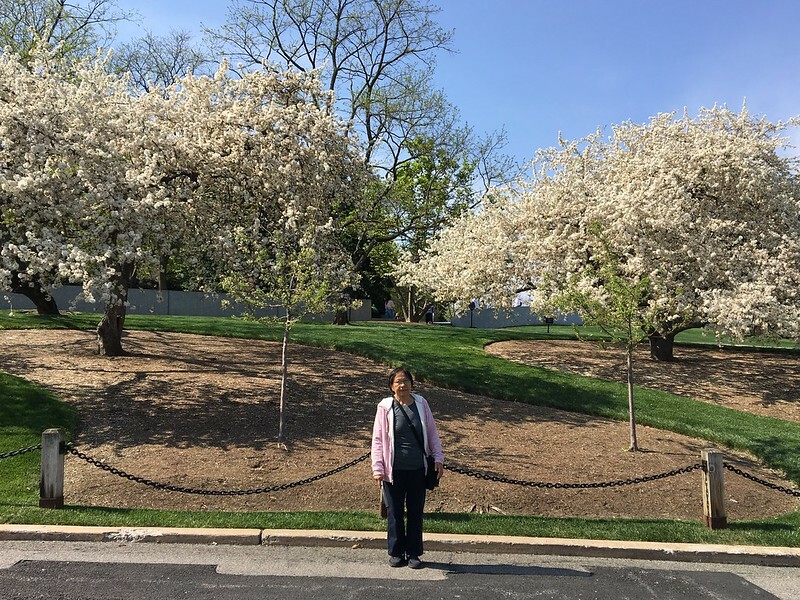 Mom and I really enjoyed our day at the Arlington National Cemetery. The place is well kept and peaceful. 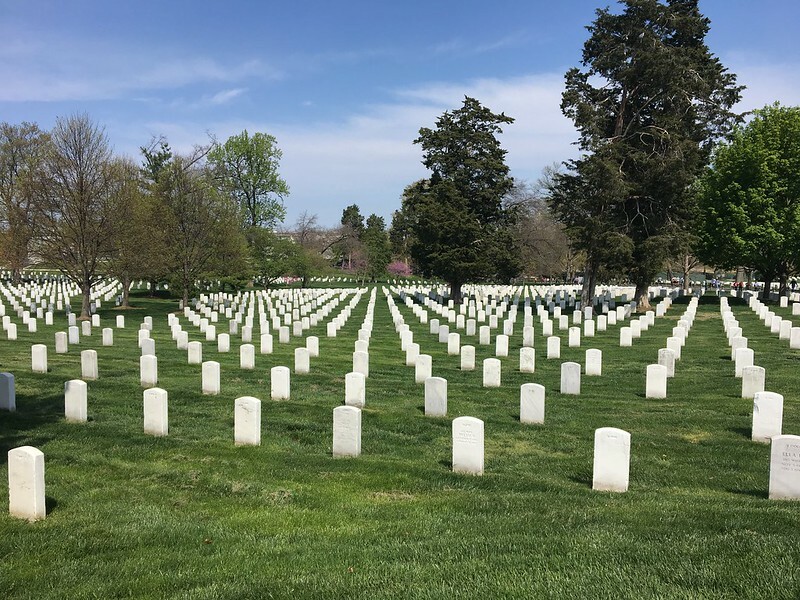 I’ve been to Arlington Cemetary twice (I live in upstate New York) both times were during heat waves, including a July 4 when it reached over 100. Seeing the Marines stand guard over the Tomb of the Unknown Soldier, in all weather conditions, is one of the most inspiring sights this world has. We were lucky the weather was so nice when we visited. We did get to see The Changing of the Guard, and you’re right, it is a very solemn and inspiring moment. Rain, heat or snow…they are there guarding the Tomb. Lovely trees in the cemetery!